This professional-looking fabric is made from 6.5-oz, 65/35 polyester/cotton pique fabric blend. X-Temp and Fresh IQ technologies allow your body to breathe easy. 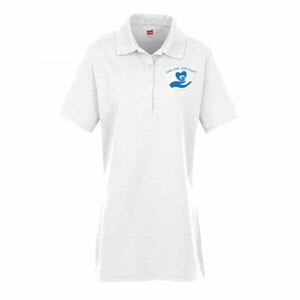 Protect yourself from the suns harsh rays with a 40+ UPF rating that makes this shirt a hot commodity. Side-seams and double-needled hem sleeves provide a unique fit. A four-button placket boasts dyed-to-match chalk buttons, which promote a snugger fit around the neck. Self-fabric neck taping and a welt collar are cozy additions to this customizable shirt.